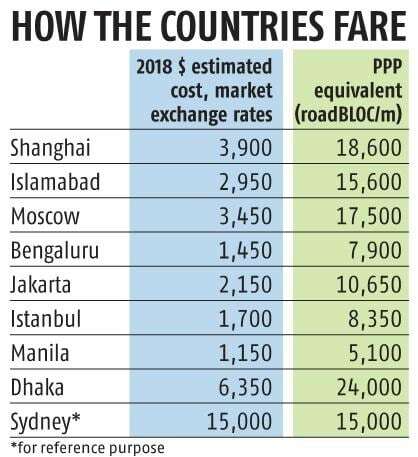 Road building in India is cheapest in Asia after the Philippines, a study by the Asian Infrastructure Investment Bank (AIIB) has noted. The result holds despite making allowances for cross-currency differences as well as variations in local cost due to labour and others, AIIB has noted. The other countries compared to India in the exercise are China, Indonesia, Turkey, Russia, Pakistan, the Philippines, and Bangladesh. The reasons for zeroing in on these countries, according to the AIIB, are because they are expected to be the largest infrastructure builders among its 93 member-countries of the bank. 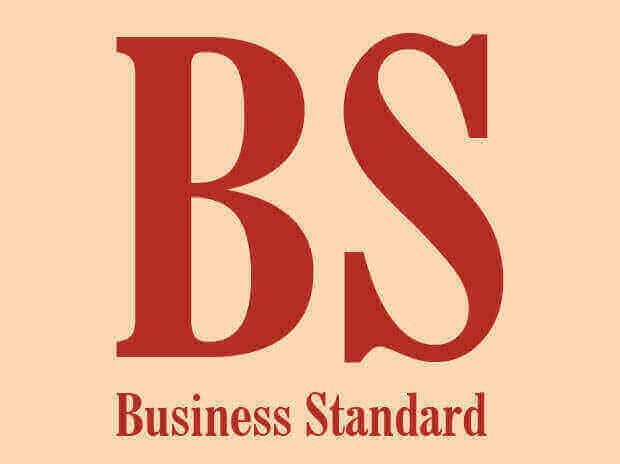 The results are likely to please the Indian government, which has been trying to impress on domestic and foreign investors about its efforts to improve the ease of doing business. In two years since it came into operation in January 2016, the AIIB has developed a purse of $11.5 billion (as of 2019) to finance mostly infrastructure projects among its member-countries. The bank is concerned that the cost of financing those projects will rise sharply because central banks around the world would raise interest rates from 2019 onwards. It has, therefore, sought to evaluate how efficiently countries are building their infrastructure. The AIIB has created a “roadBLOC benchmark” for this purpose. It is the cost to build a four-lane urban arterial road, including traffic-controlled intersections in select cities. The AIIB has noted it evaluated various road types and “a four-lane urban road with controlled intersections was found to be the most suitable for cross-country comparison because of its lower coefficient of variation in the data collected”. As the table shows, the data can be broadly extended to the country for reference purposes. The Beijing-based multilateral institution has come up with the unique comparison in its first Asian Infrastructure Finance 2019 report. While the World Bank, the International Monetary Fund, and various United Nations bodies have indices on human development-related indicators, they have done no comparable exercise to build an infrastructure index. The AIIB results are based on the data analysis it has conducted in collaboration with Thomson Reuters and The Economist Intelligence Unit, between August and October 2018, supplementing those with interviews with cross-country infrastructure experts. The AIIB says “having selected this representative road types, the cost per meter data were obtained in local currency. As pointed out, a direct conversion to USD would not give an accurate picture of local performance due to currency fluctuations (unless all inputs are imported). A better alternative is to convert the data into an index that is insensitive to macroeconomic influences”. Vinayak Chatterjee, chairman of Feedback Infra, however, differed in evaluating the importance of the index. “The road ýbusiness is mostly national. It is difficult to expect learning from an Indian project to apply to other Asian countries, no matter how country-agnostic such an index is.” Having created a standard “basket” (or BLOC) of labour, material and plant inputs to typical road construction projects globally, the bank economists proceeded to divide it by the local cost of the standard basket to determine a currency-agnostic benchmark cost for international comparison. However, as the AIIB itself notes, the exercise would not be strictly comparable to account for differences in taxes and subsides that affect the construction sectors across various economies.